Camera Quality The more megapixels, the higher the video and picture quality of the camera. Rank: #239 out of 346. Asus ZenBook UX550VE is a popular option at the top of the price range. 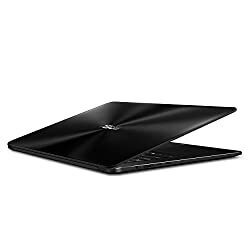 It's in the top 3 bestselling laptops and has dozens of popular alternatives in the same price range, such as LG 17" Gram Thin or LG Gram 15.6” Ultra-Lightweight . Asus ZenBook UX550VE is $1049.10 more expensive than the average laptop ($649.90).